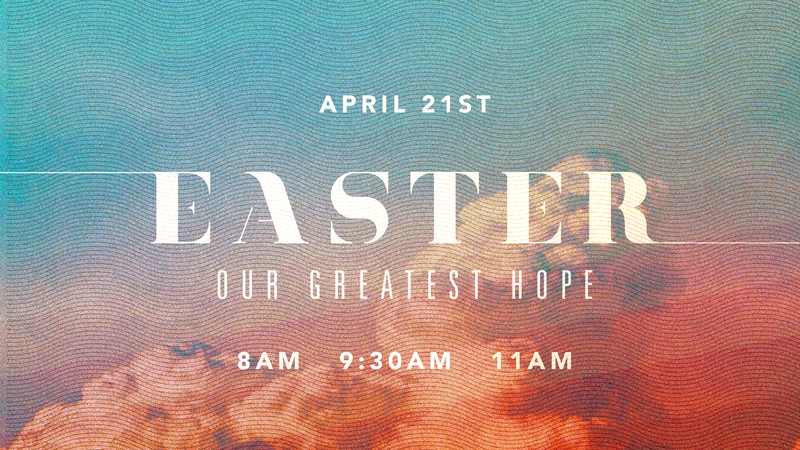 Join us on Easter weekend as we celebrate our greatest hope - the life-changing news that Jesus is alive! Friday, April 19 | 6:00 p.m.
On Good Friday, April 19, we'll gather at 6:00 p.m. for a communion service. Providence Kids will be available (birth to 5 years only). Sunday, April 21 | 8:00 a.m. | 9:30 a.m. | 11:00 a.m.
On Easter Sunday, April 21, we invite you to join us at our regular service times of 8:00, 9:30, or 11:00 a.m. Providence Kids will be available at all services (birth to 5th grade). If this is your first time visiting Providence, welcome! If you'd like more information on what to expect, click the link below.